It contains the Giants of Mont'e Prama, the greatest archaeological discovery of the late 20th century in the Mediterranean. 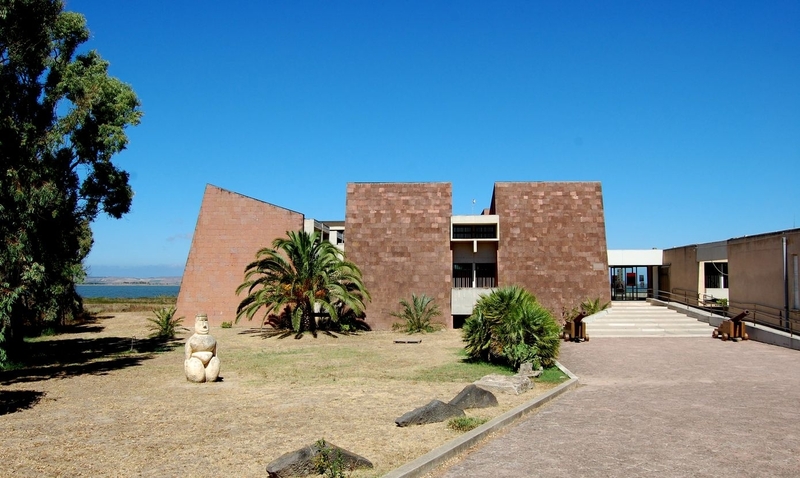 The Civic Archaeological Museum of Cabras, inaugurated in 1997 and named after Giovanni Marongiu, a personality from Cabras, is a journey from prehistoric times to the Middle Ages through traces of the past discovered on the Sinis peninsula. 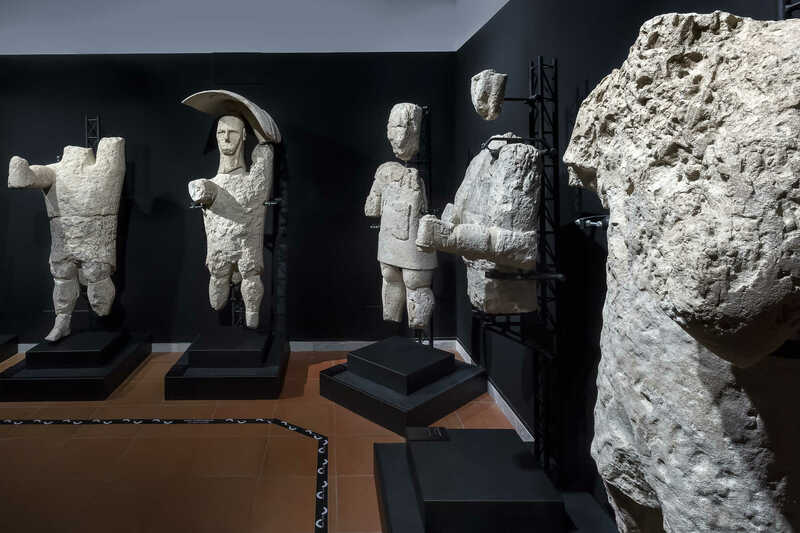 An aura of legend surrounds the stone statues of the Giants, kept in a room that was opened in 2014. In the burial area of Mont'e Prama, which dates back to the Iron Age (8th century BC), over five thousand fragments were found. Patiently recomposed, they gave new shape to the mighty sculptures, almost two metres high: 18 boxers with shield and glove, six archers with protection, helmet and bow and six warriors. Six statues 'reside' in Cabras, along with four (of a total of 16) models of nuraghe found during the excavations. The others are in the Archaeological Museum of Cagliari. Thanks to a touch screen, you can conduct a virtual exploration of the entire sculpture complex. The pre-Nuragic Age is documented by the artefacts of Cuccuru is Arrius, a village on the Cabras Lagoon, inhabited uninterruptedly between the 5th and 3rd millennium BC. The ruins of a necropolis date back to the first period, while elaborate and decorated pottery dates back to the more recent period. In the Nuragic Age, a shaft temple was built and became a sanctuary in the Roman period. 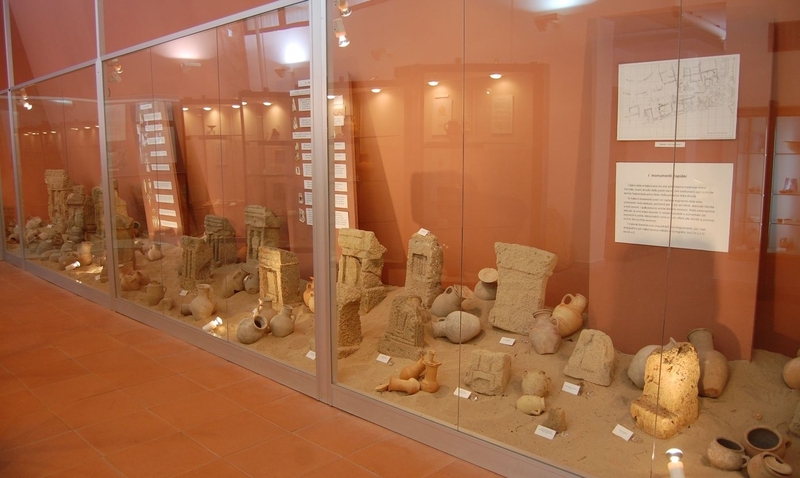 Two display cases are dedicated to the sa Osa Nuragic site, active from theMiddle Bronze Age (17th-14th centuries BC) to the Iron Age. As well as pottery, some grape seeds were found inside a well, representing the oldest piece of evidence (dating back to three thousand years ago!) of vine growing on the Island. Tharros takes up another section of the museum. This town was founded by the Phoenicians on top of a previous Nuragic village. It was extended during the Punic era and was an urbs Romana, frequented up until the Middle Ages. Materials on show come from the tofet, a Phoenician-Punic sanctuary, in which funeral urns were placed, containing the ashes of children and small animals, to which stone rods were attached (6th-4th century BC). In another part of the room you will find artefacts from the artisan district of the town, where iron and bronze were processed, along with ceramics. The room dedicated to a great underwater discovery dates back to 2008: the shipwreck of a Roman ship from the 1st century BC, identified one mile from the island of Mal di Ventre. In the remains of the boat, which lies on the seabed at a depth of 30 metres, a cargo of approximately one thousand exceptionally pure lead ingots was found, coming from Spanish mines. A unique example for the ancient world.